At Smith Sovik, defending and winning medical malpractice cases is at the heart of what we do. We’ve defended cases of misdiagnosis, failure to diagnose, surgical errors, post-operative problems, birth trauma, anesthesia complications, emergency room errors, laboratory mistakes, medications errors and issues with nursing care. We use a team approach, and together our attorneys have tried hundreds of cases for physicians, nurses, dentists, hospitals, ophthalmologists, optometrists, chiropractors, podiatrists, therapists, EMTs, psychiatrists, psychologists and other healthcare providers. Smith Sovik also represents healthcare professionals under investigation by the OPMC/OPD of the New York State Department of Health. Our experienced lawyers help clients avoid disciplinary sanctions that could lead to loss of license, probation, censure or a letter of reprimand. 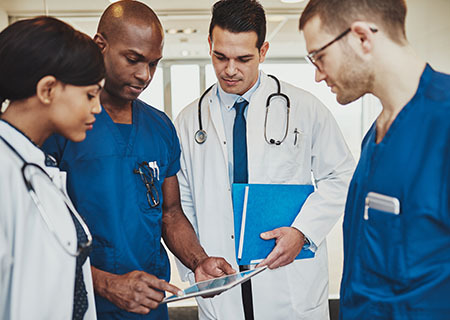 We’ve defended medical malpractice claims for Medical Liability Mutual Insurance Company, Academic Health, PICA, AIG, NCMIC, OneBeacon, Travelers, CNA and more. Kristin Norfleet handles all of the general liability litigation for Carrols in New York and oversees all of our outside counsel in general liability litigation across the country. Kristin provides Carrols with exemplary cost-effective legal representation. Kristin gives concise, no nonsense legal advice and analysis. Kristin works effectively and efficiently with individuals and departments all across our organization. It is a pleasure to work with Kristin and her firm.